Many of you have probably heard about this spicy & delicious tonic that has been touted for healing everything from MS to cancer. While I cannot tell you that it definitely does that, I will say that Golden Milk’s special ingredient is ‘turmeric’, which many natural health professionals say is a ‘super herb’. 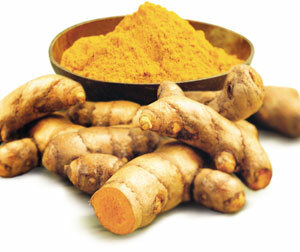 Turmeric is believed to be very safe and has been a popular medicinal herb for centuries. Turmeric is a powerful anti-inflammatory and many people are using it for an array of health benefits. Dr. James A. Duke, PHD. has discovered that Alzheimer’s Disease, Arthritis & Cancer can all be prevented or alleviated by turning to turmeric instead of pharmaceutical drugs. Without side effects! Dr. Duke reviewed 700 studies on this amazing herb! Here is a simple and delicious Vegan recipe for Golden Milk. Whisk it all up warm & frothy in a sauce pan and ENJOY!